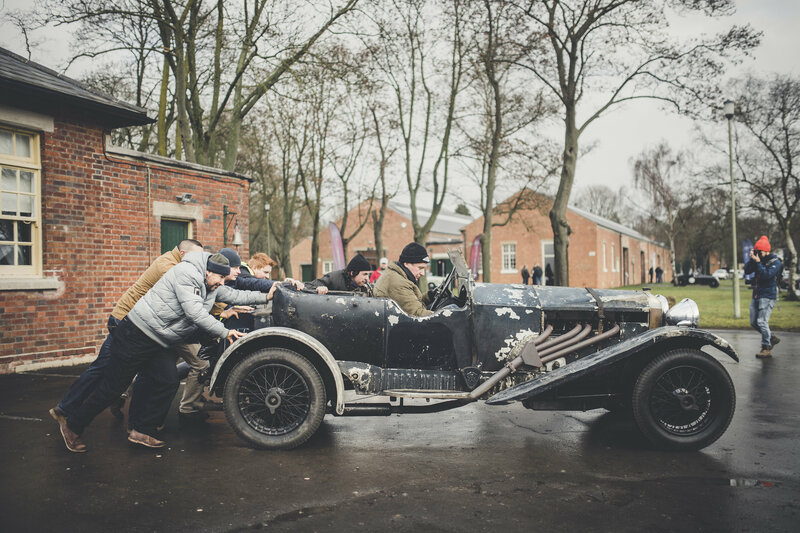 If you are the lucky owner of a vintage motorcycle or classic car, it’s highly likely that you will one day visit one of the 30 or so dedicated restoring businesses based in the excellent Bicester Heritage site. 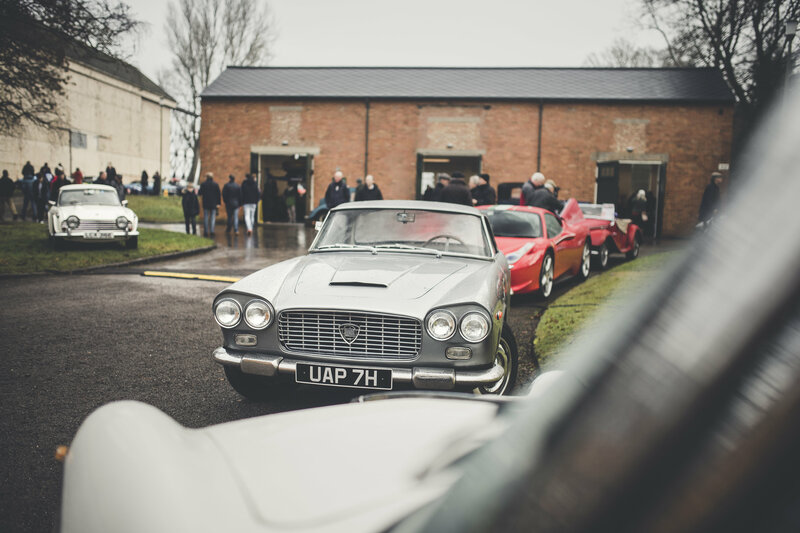 Set in a 348-acre former RAF Bomber Command Station in Oxfordshire, the hub now plays host to an ecosystem of business, skills and storage solutions, providing a one-stop shop for vintage and modern motoring enthusiasts alike. 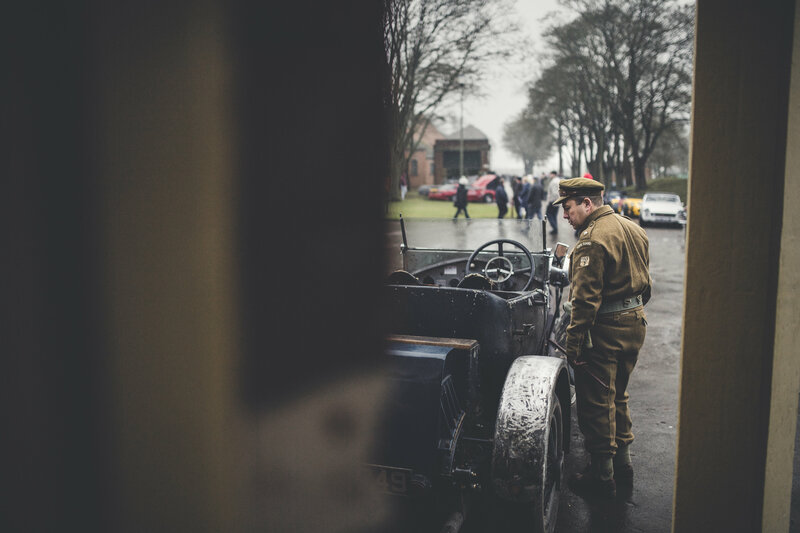 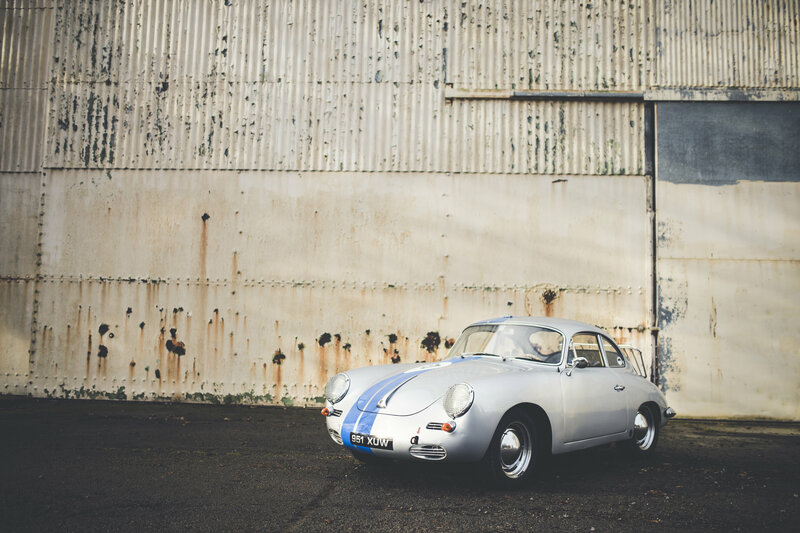 Whether its specialist dealers, upholsterers, vintage car radiator manufacturers, fabricators, service centres or even grand-prix car preparation, it’s likely Bicester Heritage has it covered. 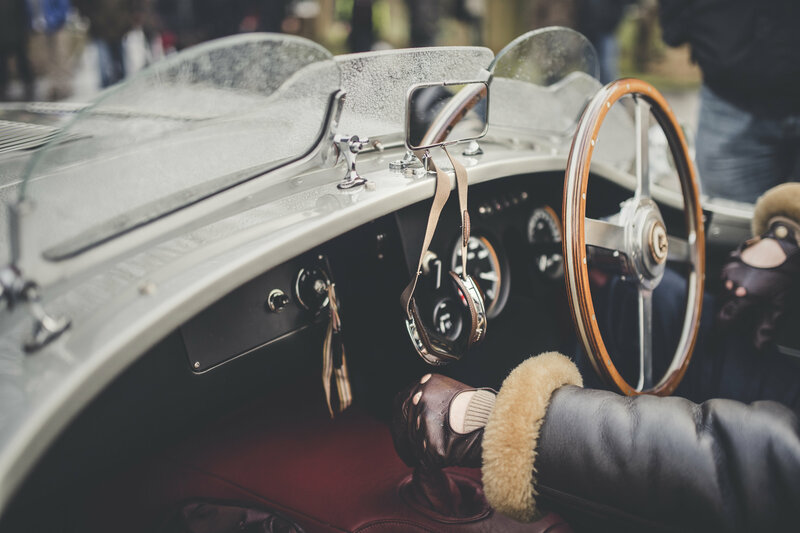 The thriving restorative community recently opened its doors to more than 3,000 guests, with some 1,500 cars on hand to entertain – the collection spanning more than 100 years of automotive history. 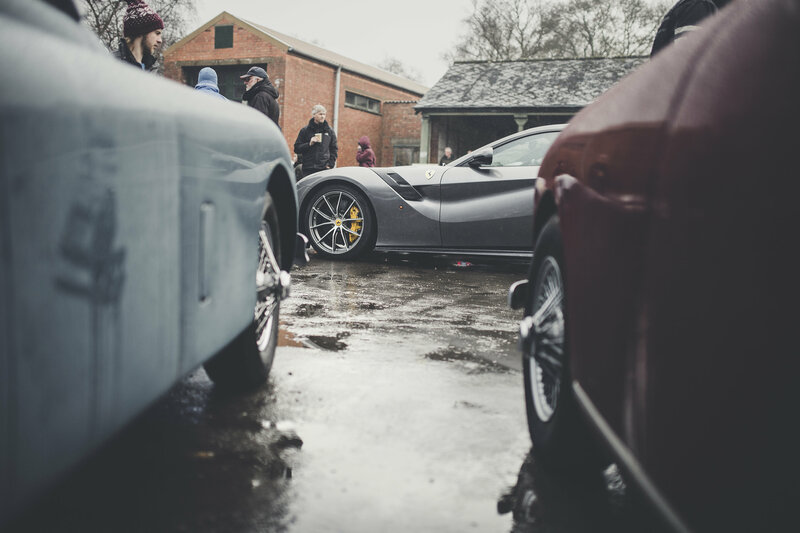 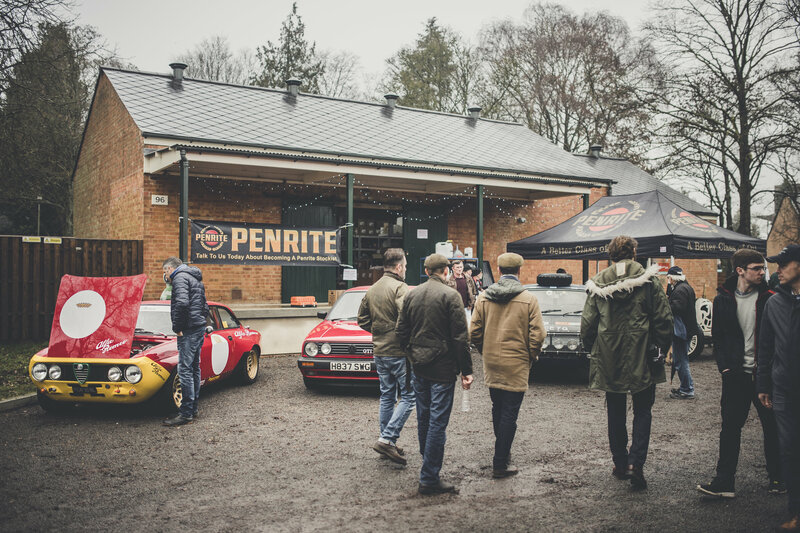 Photographer Amy Shore turned her lens towards the event, dubbed the Sunday Scramble, where Ferrari F40s rubbed shoulders with BMW 3.0 CSLs and Tiger Moth biplanes were parked, ready for inspection from the crowds. 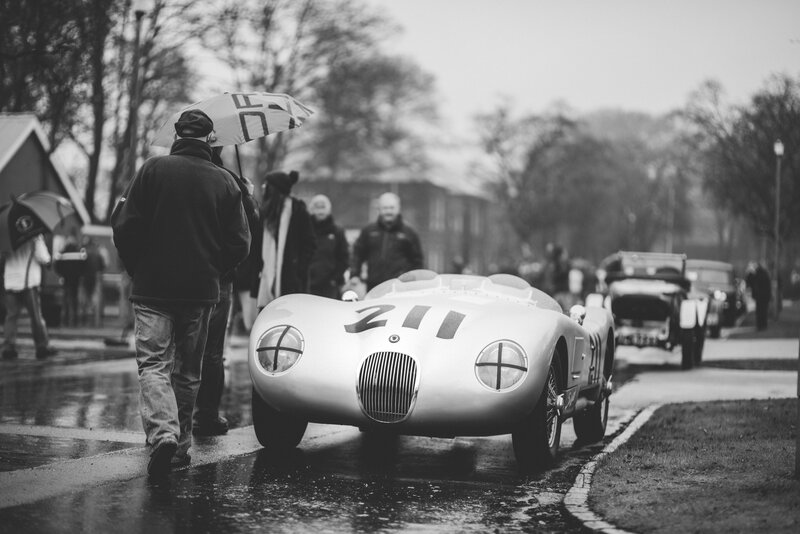 Imagine Goodwood Revival – complete with folk in period dress – but without the glitz and glamour, slightly more rain and milky tea served in polystyrene cups. 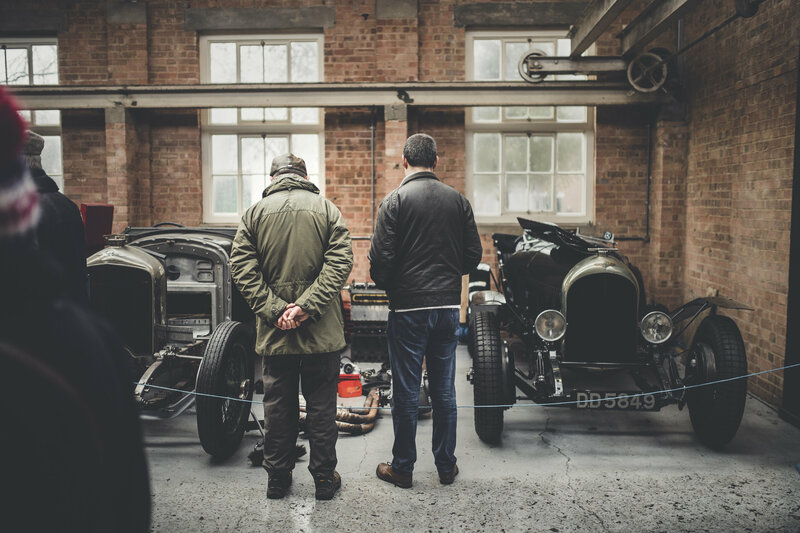 However, it’s one of the only places petrolheads can take a good look inside the restoration businesses and talk to those with the knowledge. 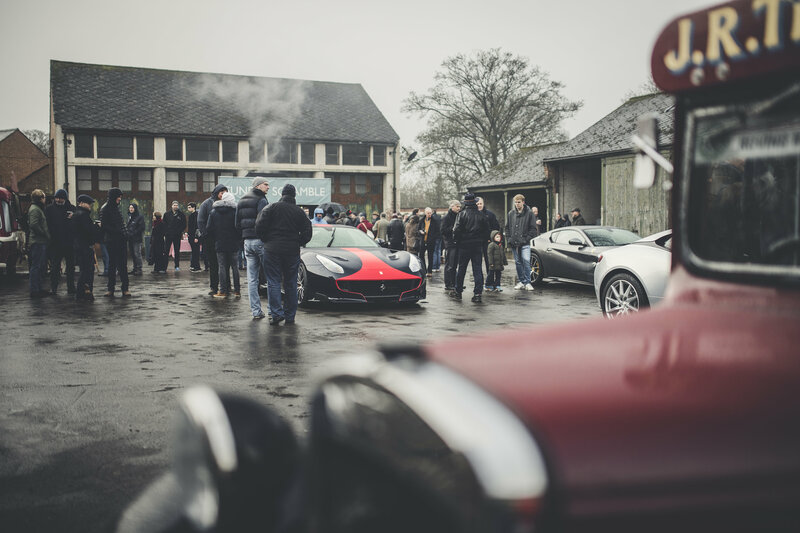 The images beautifully sum up the most British of events. 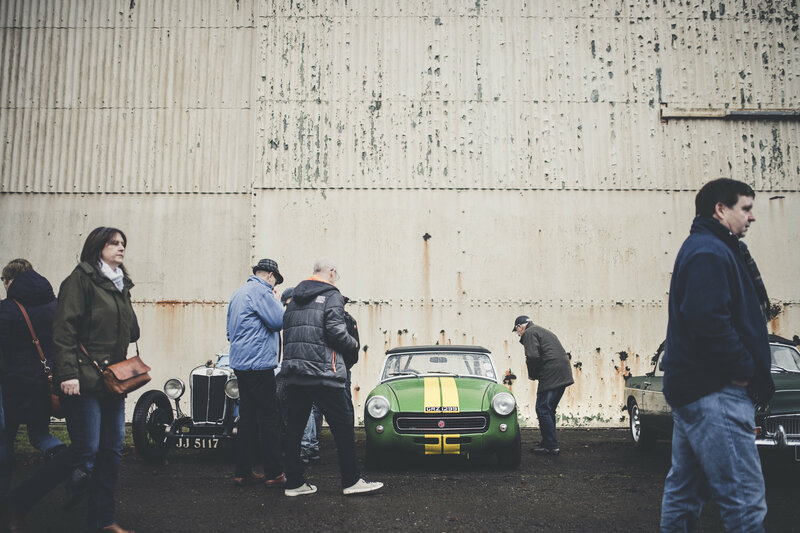 After all, is there anything better than donning a woolly hat and peering into an old engine bay on a drizzly Sunday?